Gary S. Moriwaki has more than forty years of experience in estate planning and administration. His clients include domestic and foreign business owners, professionals and executives from a spectrum of industries. Mr. Moriwaki is well-versed in advising clients who have complex, multi-national issues involving ownership of assets in multiple jurisdictions, domestic and foreign estate and inheritance taxes, choice of laws and succession concerns. 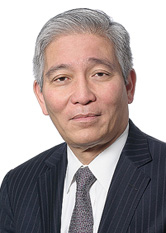 As a member of various charitable organizations, Mr. Moriwaki is experienced in charitable giving techniques and the formation and operation of private foundations. He is the immediate Past President of the Japanese American Association of New York, a Governor of the Japanese American National Museum, past Vice Chair of the Asian American Federation, Director and past Vice Chair of the U.S.-Japan Council, and a member of the Japan Society, in addition to numerous other non-profit organizations. Mr. Moriwaki began his career as an author writing on complex estate planning and administration issues for Prentice Hall Publications, and co-authored Estate Planning, published by the New York Institute of Finance, and Probate and Estate Administration with Matthew Bender in 1985. Mr. Moriwaki is very active in the Japanese-American community and has served as general counsel to a major multi-national Japanese corporation, as well as the Games Organizing Committee of the 2005 Special Olympics World Winter Games in Nagano, Japan.